The Australian Canine Rehabilitation Association was developed by a group of qualified, experienced, and like-minded canine rehabilitation practitioners with a passion for providing quality rehabilitation for dogs and their owners. Their shared commitment is to support the ongoing growth of the profession, assist with continuing education, and create a community linking industry leaders and students culminating in a biannual conference. It was necessary for the ACRA to be developed due to the lack of access to quality education for Canine Rehabilitation Practitioners in Australia. Plus, the need to form industry benchmarks and standards both veterinary professionals and the public could utilise to determine the level of accredited qualifications, experience, and insurance of practitioners. Qualified Animal Physiotherapist Michelle Monk from Dogs in Motion Canine Rehabilitation is the President. Michelle has been an Animal Physiotherapist for over 15 years in Melbourne and runs a busy multi-disciplinary canine rehabilitation clinic. She also regularly teaches Canine Rehabilitation Courses to Physiotherapists, Vets, Vet Nurses and other canine healthcare practitioners. 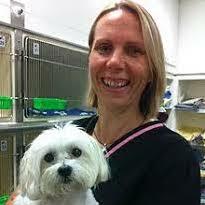 Qualified Animal Physiotherapist Lindsey Connell from Animal Physiotherapy Solutions is the Vice President. Lindsey has been an Animal Physiotherapist for over 13 years in Queensland and runs a busy practice in Brisbane & Gold Coast. She also teaches a component of the Masters in Animal Studies at QLD University and presents regularly at Veterinary, Vet Nurse and Physiotherapy conferences.